Rose has ripped through the surface issues of divorce and gotten right to the tender, bruised heart of a hurting woman. She reveals not only the real reasons for the pain, anger, anxieties, and hurt women suffer from divorce, but brings the reader to a place where permanent healing can begin. Florence Littauer, Author of "Personality Plus, Silver Boxes, Daily Marriage Builder for Couples" and more." "Rose has ripped through the surface issues of divorce and gotten right to the tender, bruised heart of a hurting woman. She reveals not only the real reasons for the pain, anger, anxieties, and hurt women suffer from divorce, but brings the reader to a place where permanent healing can begin." --Florence Littauer, Author of "Personality Plus, Silver Boxes, Daily Marriage Builder for Couples" and more. It’s not just grief that breaks a woman’s heart. After divorce, residual feelings about the man you loved and the life you lost can lurk undetected for years. 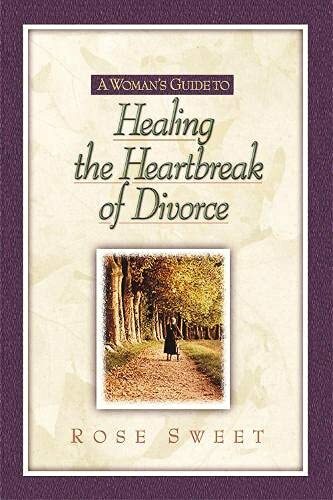 A Women’s Guide to Healing the Heartbreak of Divorce can bring real recovery and genuine joy . . . in a heartbeat! Publicado por Hendrickson Publishers, Inc.